The Bedaux Expedition also named the Bedaux Canadian Subarctic Expedition was an attempt by eccentric French millionaire, Charles Eugène Bedaux to cross the British Columbia wilderness, while making a movie, testing Citroën half-tracks and generating publicity for himself. He set off on this unusual and ill-conceived excursion accompanied by more than a hundred people, including his wife, his mistress who was an Italian Countess, and an Academy Award winning film director from Hollywood, Floyd Crosby, who would later be praised for his work on High Noon. Also along for the trip were several dozen Alberta cowboys and a large film crew. To map the route of the expedition, the Canadian government sent along two geographers, Frank Swannell and Ernest Lemarque. 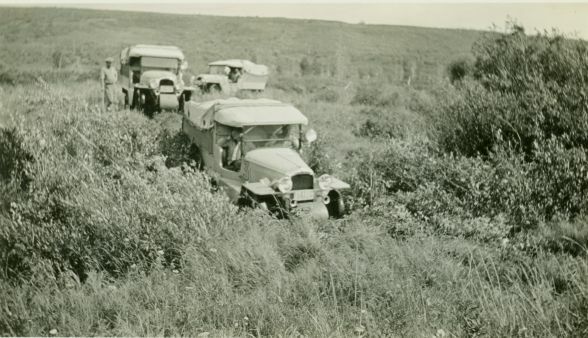 The expedition started off at Edmonton, Alberta on July 6, 1934 and their goal was to travel 1,500 miles (2,400 km) to Telegraph Creek, British Columbia. Much of the trip would have to be made through regions that were relatively uncharted and had no trails. The Alberta leg of their journey began at Edmonton, to Athabasca, Grande Prairie and then into British Columbia to Dawson Creek, and Fort St. John. From there the expedition headed north to Montney and then northeast to Halfway River on to Whitewater Post over the Rocky Mountains. From there, Bedaux had planned for the expedition to cross over the Sifton Pass, to Dease Lake and the Stikine River to Telegraph Creek, and ultimately the Pacific Ocean. However, this final leg of the trip was never completed. After enjoying a champagne breakfast hosted by Edmonton’s elite and parading down Jasper Avenue, the expedition was formally sent off by Alberta’s Lieutenant Governor. Just outside of the city, it began to rain. Those dismal weather conditions would accompany the expedition through much of their trip. Despite the weather and poor road conditions, they made good progress and by July 12 they left Grande Prairie and on the 17th were in British Columbia on the trail from Taylor to Fort St, John. The party stayed in Fort St. John until the 22nd, purchasing supplies, repairing the Citroëns, hiring more cowboys and attending banquets. 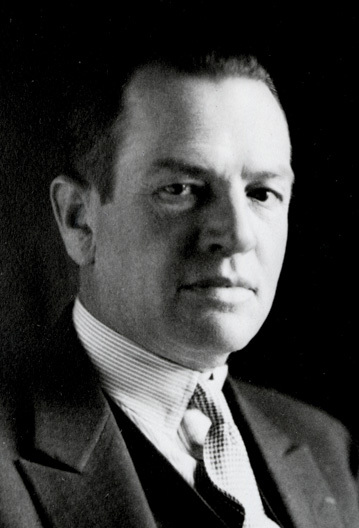 By then, Bedaux had come to the decision that the expedition had to become more newsworthy than it already was and he fired his radio operator and announced that the party would continue without a radio. Furthermore, he decided that the Citroëns were expendable and would create a bigger sensation if they were destroyed on film rather than simply making the trip intact. In August, two of the Citroëns were pushed over a 300-foot (91 m) cliff near Halfway River and a third was floated down river for an explosion scene that didn’t pan out. Nevertheless, Bedaux’s plan worked and Canadian and American newspapers carried the news that three of the cars had been lost and that some of the expedition members had barely escaped death in these terrible “accidents”. The party was lauded for its bravery and determination to continue on despite this terrible setback. By mid September, the papers were reporting that the expedition would reach its destination in October. But when the expedition arrived at Whitewater Pass, Frank Swannell, then one of the very few men who knew Northern British Columbia well enough to be considered an expert on the terrain, advised Bedaux against traveling further through the snow covered mountain passes. His advice was proven well-founded when the party’s horses began to die of diseases and the route simply proved too arduous to continue. On October 17, the Edmonton Journal reported that the party was turning back. The party reached Hudson’s Hope after nearly four months in the wilderness and a party was thrown in honor of their near achievement, a party which turned out to be one of the biggest celebrations that the town had ever thrown. See also: Charles Bedaux’s close association with the Duke and Duchess of Windsor; his collaboration with the Nazis, and his suspicious death. Wikipedia: http://en.wikipedia.org/wiki/Charles_Bedaux.